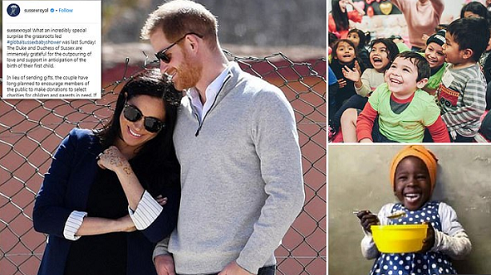 In the second post on their new account, which was launched on Tuesday and already has four million followers, the couple said they were 'immensely grateful for the outpouring of love and support in anticipation of the birth of their first child'. But they added: 'In lieu of sending gifts, the couple have long planned to encourage members of the public to make donations to select charities for children and parents in need. People really show them love and they are also kind to show it to the needy... what a great people with good heart.